Liverpool certainly likes to throw a party for Chinese New Year, and 2019 will be no exception. Liverpool is celebrating the year of the Pig with a three-day celebration spanning across the city centre. From the beginning of February, city centre streets and Chinatown will be adorned with thousands of Chinese lanterns to mark the beginning of the celebrations. As well as the lanterns, a number of buildings will be lit up in red in homage to China. 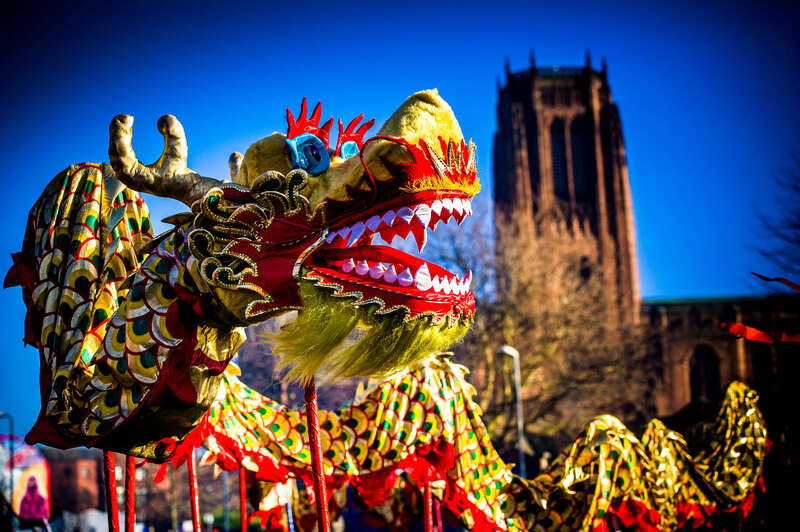 Friday 8th & 9th February from 7:00pm – 7:45pm – Chinese Arch area: Lion dancing and Chinese influenced street theatre. Unique projection and pyrotechnic show at the arch on the surrounding buildings. The show, called ‘The Quest for the Arch’ will follow the journey of a little girl and a pig from Shanghai to Liverpool. Sunday 10th February from 11:30am – George Square & Nelson Street area: Street and stage performances, family workshops, a fairground, parades, firecracker displays and the Chinese market selling gifts, souvenirs and mouth-watering Chinese food. Sunday 10th February from 6:00pm – 6:45pm – Chinese Arch area: The Chinese Arch street entertainment and pyrotechnic show will be shown again on Sunday evening. Base Top Tip: Stay at our Duke Street location a stone’s throw from the Arch and parades. Love birds can take advantage of this offer for just £99 Sunday – Thursday and £139 on Fridays. Terms and conditions apply, visit our offers page to find out more. 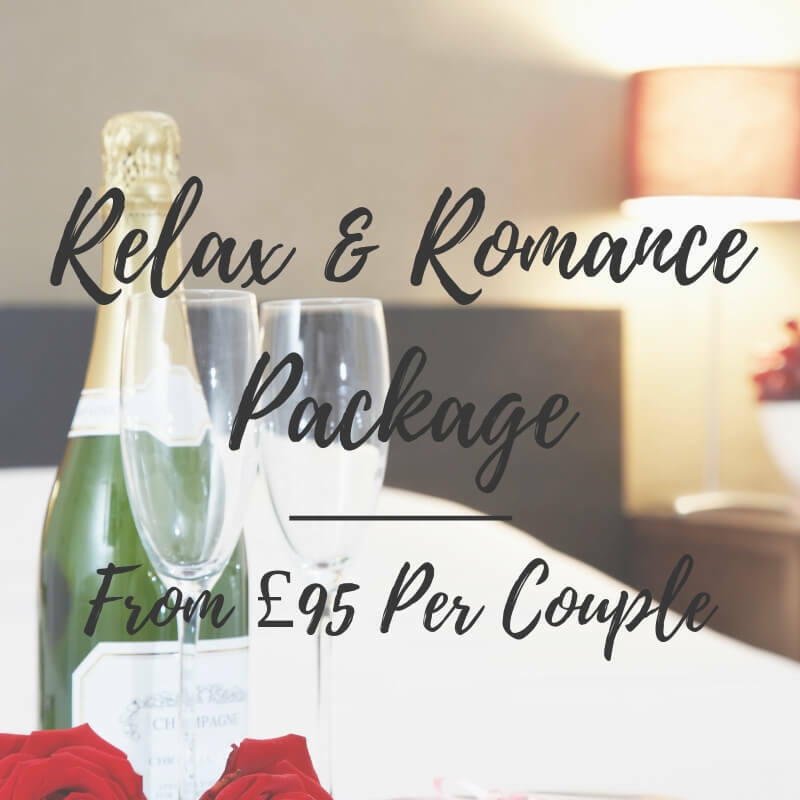 Base Top Tip: Try our relax and romance package in Chester from just £95. Find out more. Keep the boredom at bay this half term with Liverpool museums free family events. On top of free entry to The Museum of Liverpool, The Maritime Museum and The World Museum, each location will be putting on an exciting timetable of activities to entertain all the family. Workshops include creative arts & crafts, archaeology lessons, interactive story times, live performances and African drumming sessions – to name a few. The events run on various days from 16th – 24th Feb and are all free! Visit the Liverpool Museums page to find out more. For something a little different, head down to FACT Cinema for do something Saturday’s. The activities, suitable for kids aged 6 and over give families a space to make, do and be creative together. The events run each week from 12-4pm, visit FACT to find out more. Get ready to fall down the rabbit hole with this magical Alice in Wonderland Experience. Liverpool’s magnificent St. Georges Hall will be transformed to create the colourful, fantastical world of Wonderland. Join Alice on her adventures, meet your favourite characters, play croquet and avoid losing your head with the Queen of Hearts! Groups of 80 at each time will join Alice, where they will meet lots of interesting characters, have fun with the Hatter at his Tea Party and meet the Cheshire Cat. The experience lasts 90 minutes and is suitable for all ages. Visit the event page for tickets and more information. Base Top Tip: Join Alice on one of her Prosecco and Canapé evenings, strictly for adults. There’s limited availability for these shows so grab your ticket quick! To mark the 500th anniversary of the death of Leonardo Da Vinci, 144 of the legendary artists greatest drawings will go on display in 12 simultaneous exhibitions across the UK. Liverpool’s Walker Art Gallery is lucky to be one of those displaying the magnificent work. 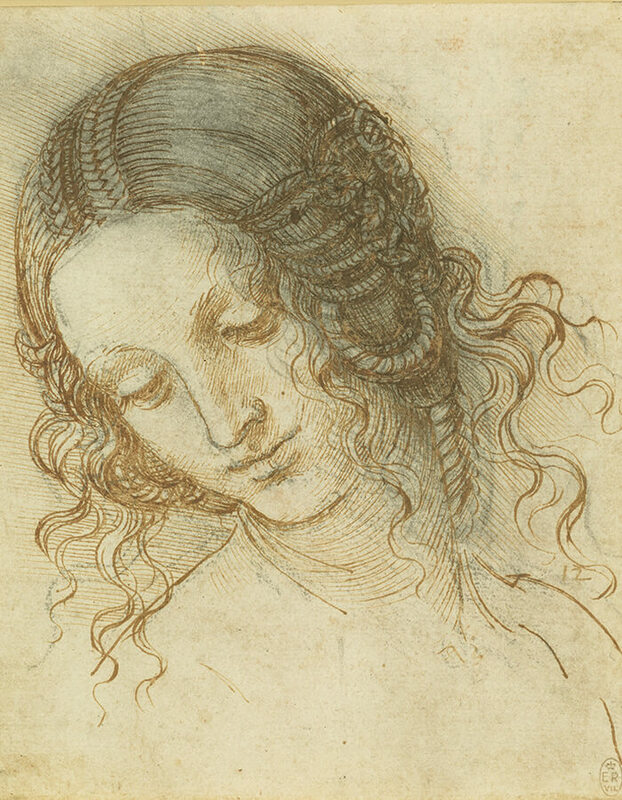 The exhibition, ‘called Leonardo da Vinci: A Life in Drawing’ will feature twelve drawings, selected to reflect the full range of Leonardo’s interests. They’ll include examples of all the drawing materials employed by the artist, including pen and ink, red and black chalks, watercolour and metalpoint. They will also present exciting new information about Leonardo’s working practices gathered through scientific research! For more information about this remarkable event, visit the Walker Art Gallery website.